Since its beginning in 1978, Leadership Texarkana has been based on the belief that the key to our community’s success is based on the numbers of great leaders throughout, individuals who care enough to take some measure of responsibility for our community and who have the knowledge, skills and attitude to be effective leaders in pursuing the excellence citizens want. For the organization's first 30 years, LT’s main strategy in developing leaders was to train and equip citizens one on one through the LT Classes. However, with a community of our size, any organization would be hard pressed to develop the critical masses of leaders and momentum needed to significantly change outcomes at that pace. 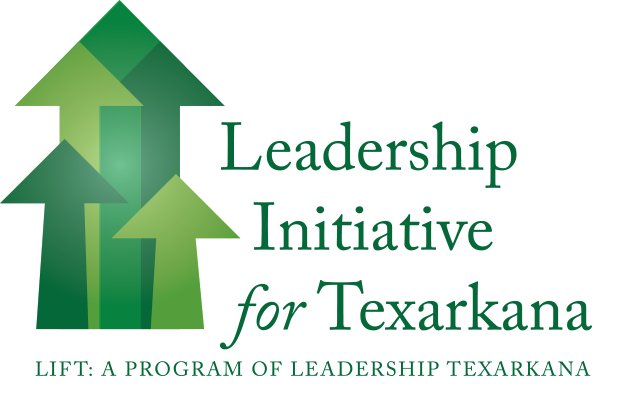 Consequently, in 2011, Leadership Texarkana launched the Leadership Initiative for Texarkana - or LIFT - as an additional strategy for engaging citizens as leaders. Rather than relying on one to one training, the LIFT strategy has been to develop community-wide conversation and citizen awareness and expectations around leadership behaviors essential to our community’s best future, including behaviors of working together, embracing a unifying vision and values, building pride and awareness of community successes, as well as issuing a general call to action to citizens in all sectors, along with an explicit challenge for citizens to step up and take their own measures of responsibility for our collective success. The flagship class and one on one leadership training will always be an important foundation to developing the leaders for our community's best future. But through LIFT, Leadership Texarkana has vastly augmented the organization’s historic reach and mission-based impact in engaging citizens in working together for community excellence. Want to be "in the loops?" Sign up for our WeeklyLIFT Newsletter and like us on Facebook to learn about opportunities and inspiration for you, your business, your civic organization, or your volunteer group to take on.